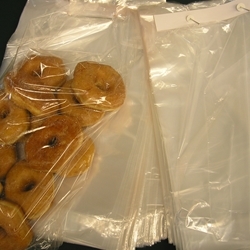 > Our 1mil clear bags and .8mil 30/psi microperf bags are packed 1,000 per case. > Microperforations allow excess moisture and heat to escape, keeping bread fresh longer. > Custom sizes and printing available - call for quote. > Bags meet FDA and USDA specification.